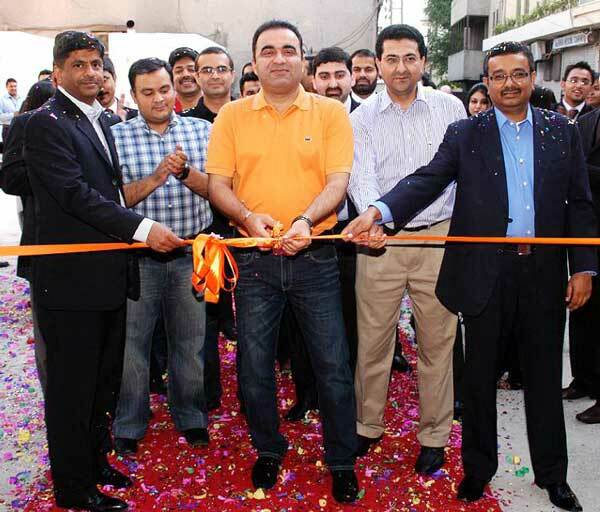 Ufone recently launched its state of the art call center in Lahore; this is the 3rd call center after Karachi and Islamabad, with capacity greater than both the predecessors. The new call center will help further enhance customer satisfaction and shall result in superior customer service. Mr. Ahmed Kamal Chief Officer Customer Operations said, “At Ufone, it’s all about the benefit given to the customer from tariff plans, value added services to the best customer services in the telecom industry”. “Customer services play a major role in the life cycle of each customer and with the launch of this new facility it is our prime objective to facilitate our valued customers with the best possible services”, he added. hmmm Ufone is a subsidary of PTCL.but its mangament is much better then PTCL. Sab se pehle call attend karte hain aur PAKISTAN mein main ne UFONE ko har lehaz se best paya hai. Customer ki complains ka foran action letay hain. Any idea where its located? Johar town? Peco Road, Kot Lakhpat, Lahore. Behind TCS office. Another business location running on generator for 18hours daily ! yhn job milti b hy ya bs…………..? i am student of MIT and i have to need the job. i am doing job in abacus consulting company as a customer relation officer. Aslam o ALaikum. plz tell me can i apply for CRO at ufone. coz i’ve done i.com n m doin job in a UK based call center as Telesales Executive. Thanks. Aslam o ALaikum. plz tell me can i apply for CRO at ufone. coz i’ve done B.A AND MCSE I have seven year experience in WARID, MOBILINK AND TELENOR CALL CENTER . Thanks. My name is Muzammal ur Rahman , and i am graduate and one year of diploma in computer application and office professional in PVTC. I am seeking like this job as a ufone call center plz tell me sir, My cell no : 0341-6920287.
aoa. please tell me that, how i can apply on cso or on better job.. I m M.A educatiion. Having 3years Experience in marketing department of Textiles. But my intrest is telecom. thanx. any body tell me the method of applying and getting job please. and its offices location. i am form johartown.